“The garden incorporates a lotus pond, pavilions, and landscaped lawns, trees, and flowers. The surroundings and the palace itself are well matched. There are over 26,000 specimens of a hundred different species of trees in the garden and some of the trees behind the palace are now over 300 years old. 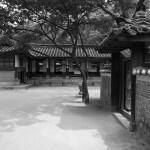 the garden that was extremely private space for the king had been called ‘Geumwon’ (금원, 禁苑, Forbidden garden) because even high officials could not dare to come in without king’s permission. 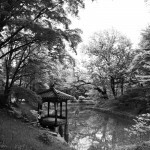 Also it had been called ‘Naewon’ (내원, 內苑, ‘Inner garden’). Today Koreans often call it ‘Biwon’ (비원, 秘院, Secret garden) which derived from the office of same name in the late 19th century . 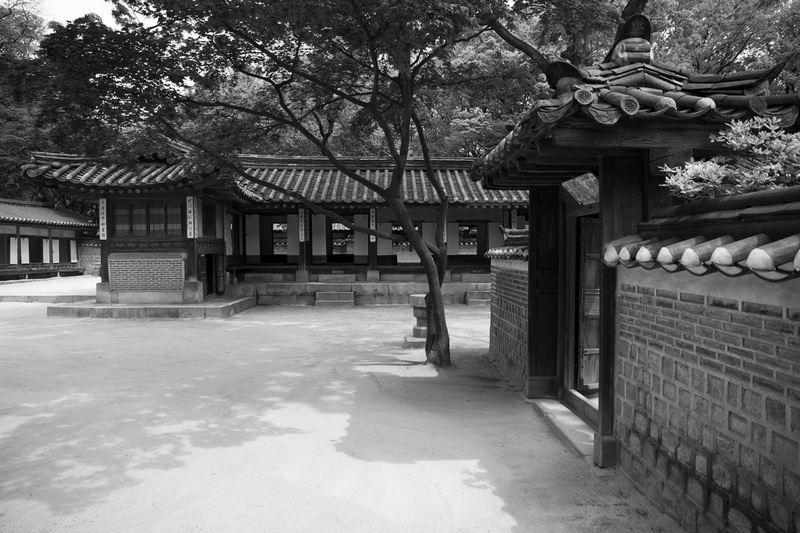 Though the garden had many another names, the name most frequently used through Joseon dynasty period was ‘Huwon’. A variety of ceremonies host by the king were held in Huwon. In early period of Joseon dynasty, military inspections participated with king himself had been practiced many times. King Sejo had troops parade and array before him or commanded them by himself in the garden. In addition, giving feasts, playing archery games, or enjoy fireworks in Huwon.